Never before in the history of the dental profession has there been such a rapid change in dental materials and their uses. For many years gold and silver amalgam were the mainstays of dental restorations. The public is now demanding tooth colored restorations and the many dental corporations have responded, flooding dentists with more restorative choices than ever. How do you decide what product to use where, and when and how to use it? This half day presentation will review the options in cosmetic restorations and make it easier to decide what to use where. What restorative materials to use in different situations. Where to use veneers or onlays instead of full crowns. When to use direct composite resin instead of porcelain. How to design preparations for different materials. Dr. Malone’s commitment to excellence in restorative and cosmetic dentistry started early with extensive continuing education with his primary mentors: L. D. Pankey, Pete Dawson, Alvin Fillastre, and Mike Schuster. He received a fellowship in the Academy of General Dentistry in 1988 and is a member of the ADA, The Catapult Group, American Equilibration Society, the Pierre Fauchard Academy, and the Pankey Alumni Association. 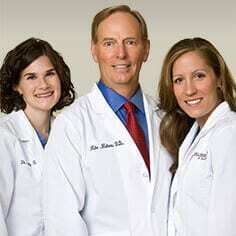 He has been a member of the American Academy of Cosmetic Dentistry since 1988, and was accredited in 1992. In 1995, Dr. Malone was asked to become a member of the Accreditation Board of Examiners of the American Academy of Cosmetic Dentistry, and went on to become an Appeals Examiner for the A.B.O.E. After serving six years on the Board of Directors of the AACD, Dr. Malone served as President for 2003-04. He is also on the staff of LSU School of Dentistry as an Assistant Clinical Professor in Prosthodontics. He is a published author in leading journals and speaks internationally on cosmetic and restorative dentistry. Dr. Malone maintains a full-time dental practice limited to cosmetic and reconstructive dentistry in Lafayette, LA.